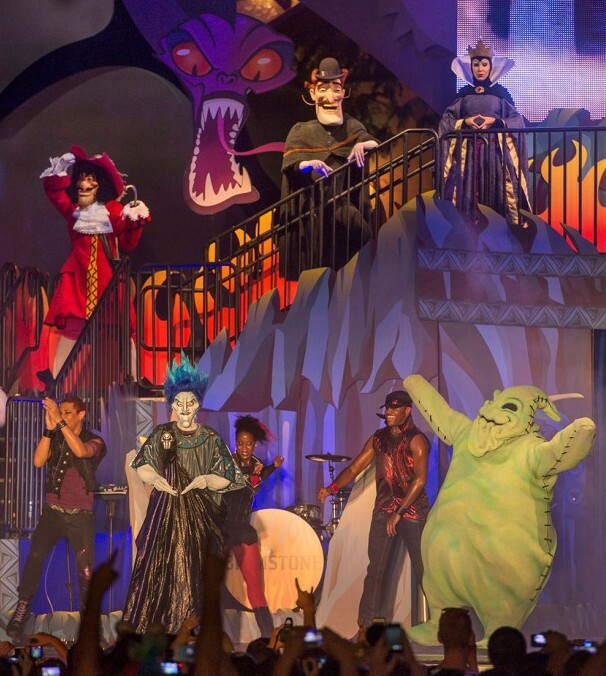 Earlier this summer Disney Events announced their newest event, “Villains Unleashed”. Where over 50 Disney Villains will be running wild throughout Disney’s Hollywood Studios causing mischief and mayhem. Below is the full list of Villains attending this event. Keep in mind characters are subject to change. This is one of the most anticipated events of the year and tickets are expected to sell out fairly quickly. Don’t be caught without a ticket! May your night be full of Villainous activities! Posted on July 12, 2014, in Announcements, Disney Characters, Disney Events, Walt Disney World and tagged Anastasia, Asajj Venturess, Aurra Sing, Banzai, Barbosa, Big Bad Wolf, Boba Fett, Bowler Hat Guy, Br're Bear, Br're Fox, Captain Hook, Cheshire Cat, Cruella De Vil, Darth Maul, Darth Vader, DHS, Disney, Disney Atmosphere, Disney Characters, Disney Events, Disney Tips, Dr. Facilier, Drizella, Ed, Emperor Palpatine, Entertainment, Evil Queen, Foulfellow, Frollo, Gaston, Gideon, Gov. Radcliffe, Guarian Guard, Hades, Horace, Imperial Guard, Jafar, Jango Fett, Jasper, Jawa, Kronk, Lady Tramaine, Maleficent, Meet-n-Greet, Meg, Mr. Smee, Oogie Boogie, Pain, Panic, Prince John, Queen of Hearts, Shan-Yu, Shenzi, Sheriff of Nottingham, Star Wars, Stormtroopers, Stromboli, Summer, The Hag, Theme Parks, Tusken Raider, Villains, WDW, Yzma, Zam Wensel. Bookmark the permalink. Leave a comment.